TidyDisk 3.0 is a handy utility for cleaning unwanted and unnecessary files off your hard disk. It can clean temporary files, Internet Explorer cache files, Firefox Private Data files, and any other files you want removed. And it's only $19.95! Computer experts agree - in order to keep your PC running smoothly you need 10% of your hard drive free. TidyDisk can do that for you automatically. Plus TidyDisk is Vista compatible! 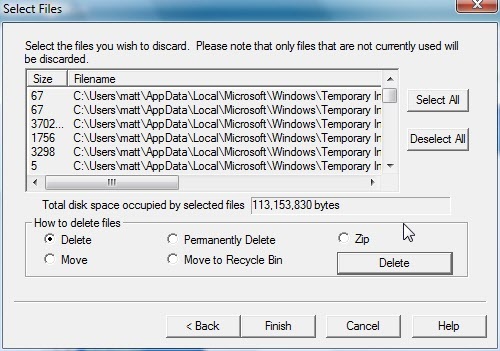 TidyDisk can be configured to remove exactly the files you want deleted. You can specify certain file types or use wildcard characters. Better still, you have a choice of removal methods. You can send files to the Recycle Bin, Delete them, Move them, put them in a ZIP file, or Permanently Delete them. TidyDisk is fast and easy-to-use. 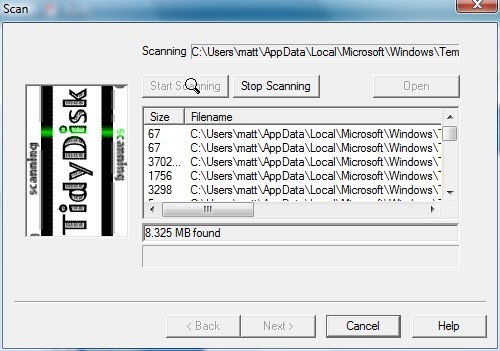 It can scan all of your local drives and network drives as well. TidyDisk to run at any hour of the day or night. What a convenience! Schedule it and TidyDisk will run totally unattended,removing whatever files you've told it to.